Director: Jean-Marc Vallée. Cast: Reese Witherspoon, Laura Dern, Thomas Sadoski, Gaby Hoffmann, W. Earl Brown, Michiel Huisman, Charles Baker, Brian Van Holt, Mo McRae, J.D. Evermore, Nick Eversman, Leigh Parker, Randy Schulman, Cathryn de Prume, Orianna Herrman, Jan Hoag, Matt Pascua, Dan Considine. 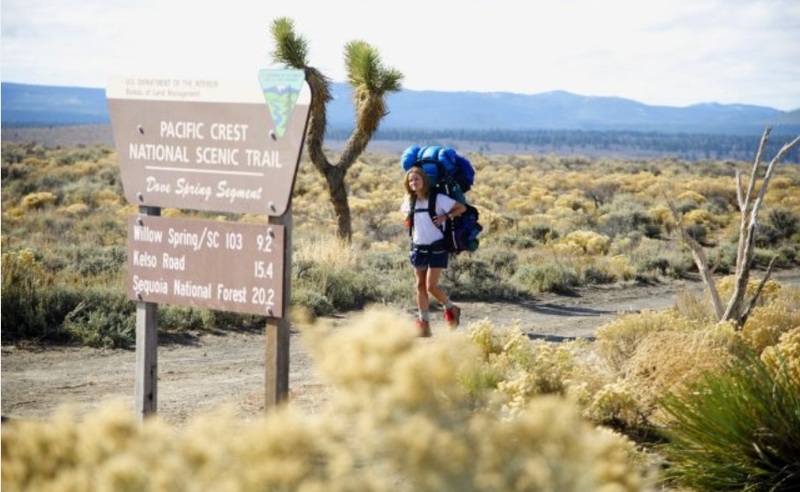 Screenplay: Nick Hornby (based on the memoir Wild: From Lost to Found on the Pacific Crest Trail by Cheryl Strayed). Twitter Capsule: Never fully inhabits Cheryl's headspace, despite obvious tries, or posits viable links between externals and characterization. VOR: ② Granted, we live in a time where devoting a whole studio film to a woman's physical and internal journey is rarer than rare. But Vallée sticks unduly close to his Dallas Buyers playbook.